Welcome to the Jennifer O'Meara Studio! 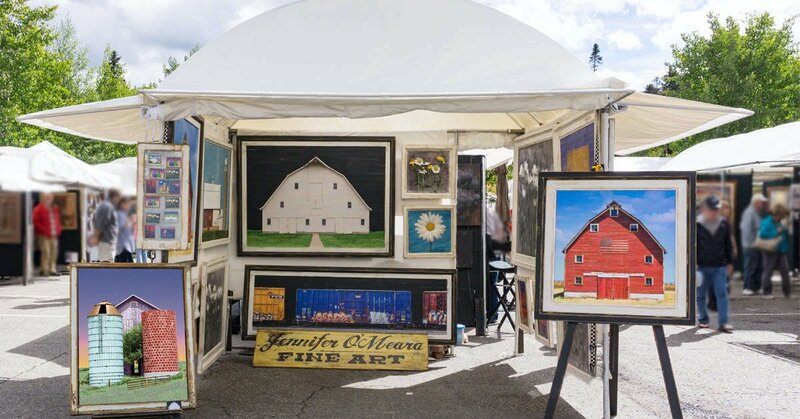 Jennifer O'Meara is best know as an artist with a special love of barns and rural landscapes, and flowers and has exhibited her work in fine art galleries and at art festivals and fairs across the United States. Her bold colors and stylized representations of America's iconic landscapes has earned her work a special place in the hearts and homes of her collectors. Please browse the site, enjoy the images, and be sure to contact us with any questions about purchasing or just to drop us a note! Thank you for visiting! Get news on special offers, new artwork and upcoming events.